Wing of St. Mawes is a family run specialist fishmonger, involved in the fishing industry since its creation by Robert Clifford-Wing some thirty years ago. All of our staff are committed to providing customers and clients with the freshest of fish and professional service to match. For the past 30+ years Rob Wing has pioneered the diversity of fresh, sustainably caught Cornish fish. 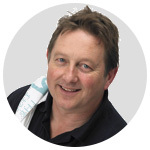 A born and bred Cornishman who grew up in the fishing village of St Mawes, Rob has been involved in fishing all his working life; first as a seafood chef, then a fisherman, trawler owner, and since 1986, a fishmonger and merchant supplying leading restaurants all over the UK. Over the decades Rob has worked with the industry to protect and conserve a centuries old way of life. He helped found Seafood Cornwall, a trade body to help cohesion in the industry between fishermen. He was also part of an EU funding project that set up a 1500 square mile ‘no fish zone’ off north Cornwall that fishermen credit with a significant rise in stocks of species like cod and haddock. Still a very much sought after source of knowledge, Rob has now become a Chair of the Harbour Commission for Newlyn fishing port where he is helping to install better facilities for fishermen and modernise practices by increasing sustainable fisheries. Rob is proud to have spent almost all of his working life within Cornish fishing and continues to work towards future generations benefitting from the wonderful seafood that surrounds our county’s coast. Roberta Newton prefers to be known as Robbie, and has been on the phones in the sales office since May 2015. She grew up in the Cotswolds and her working life started in nursing. Since then has moved through several different fields, including medical sales, teaching English and various telesales roles. The world of Wings presented a steep learning curve for Robbie but she has gained in fishy knowledge over time; however, she still refuses to pick up a live lobster, even if bribed with smoked salmon! Out of work, Robbie is a keen musician, playing piano and guitar and loving live music. 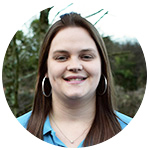 Vicky originates from Bristol, and moved to Cornwall in July 2014 when she joined the Wing team. Vicky has been working in customer service since the tender age of 15 and has built up her experience in a number of sectors from call centres. 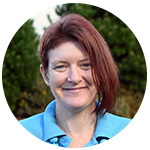 She enjoys interacting with customers and has become passionate about Cornish seafood. In her spare time Vicky loves watching movies, listening to a variety of music and enjoys a beach walk with her beloved Pug Coco. She has also enjoyed gaining a good knowledge of fish since joining Wing’s, and admits to eating a lot more fish than she used to!